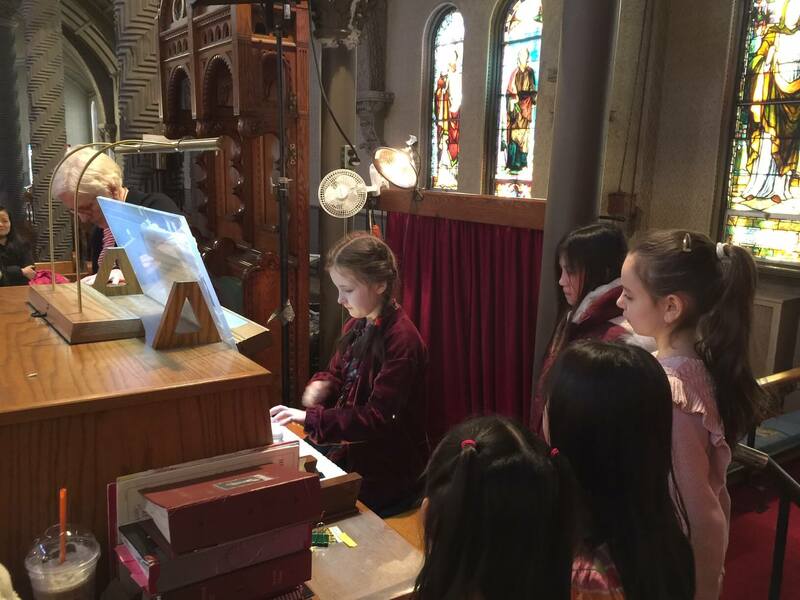 As part of our education mission, we make our custom-built Orgelkids USA pipe organ available to other groups for demonstrations and learning. 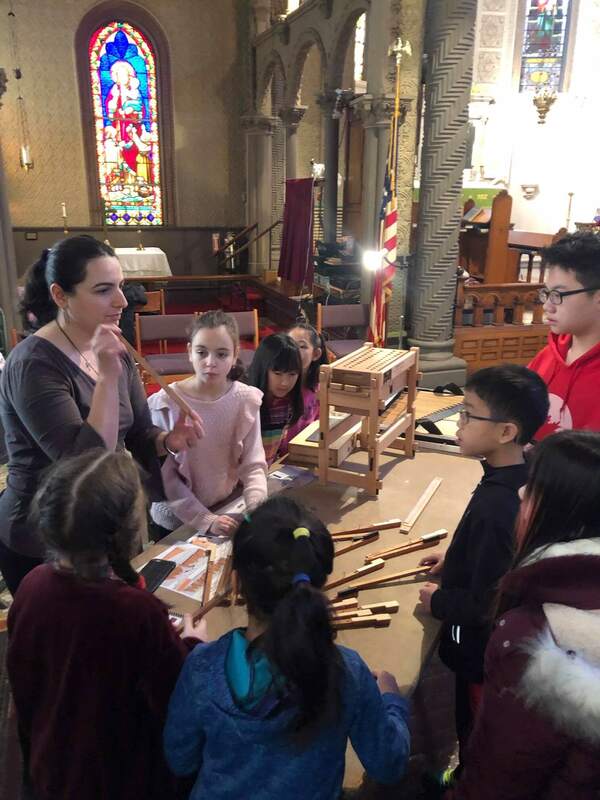 Last week, the Orgelkids kit traveled across the Manhattan bridge to Brooklyn, where our Erben Ambassadors Lana Krakovskiy and Maria Rayzvasser taught the kids about the pipe organ in a hands-on organ building workshop. 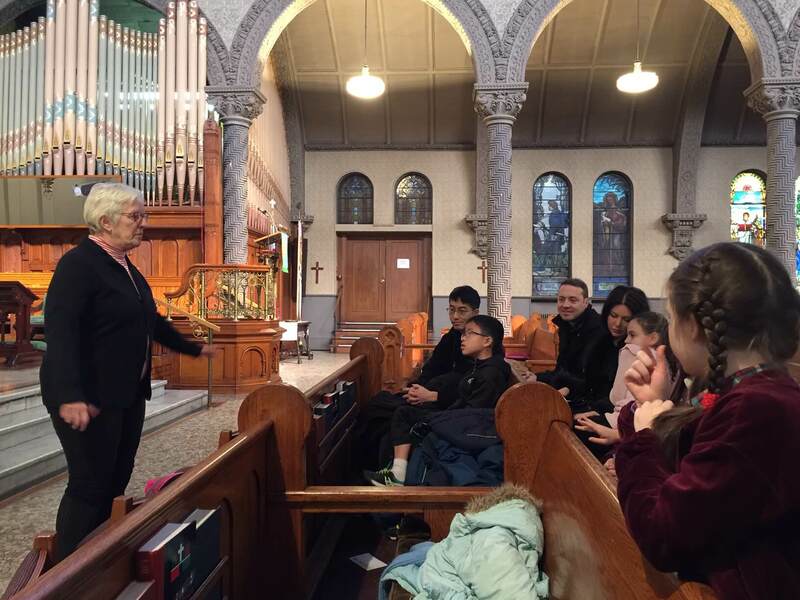 Pedals, Pipes & Pizza, a program ran by the American Guild of Organists (AGO), is a partial day program designed to give children and youth a brief introduction to the pipe organ and its music. Brooklyn Chapter of the AGO held Pedals, Pipes & Pizza-2019 in the historic All Saints Episcopal church in Park Slope. The program started with a demonstration piece for the organ, “Rex – King of Instruments”, played by John Wolfe, and narrated by Ellen Wright. The piece showcases the different colors of the pipe organ through variations on a familiar song. 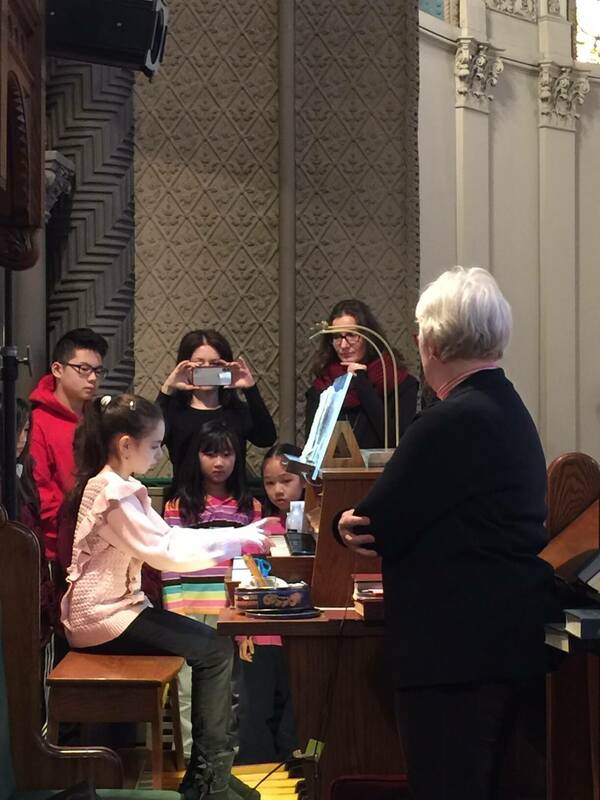 Children then got a chance to pull stops and discover what they do while Ellen played Buxtehude’s Passacaglia. 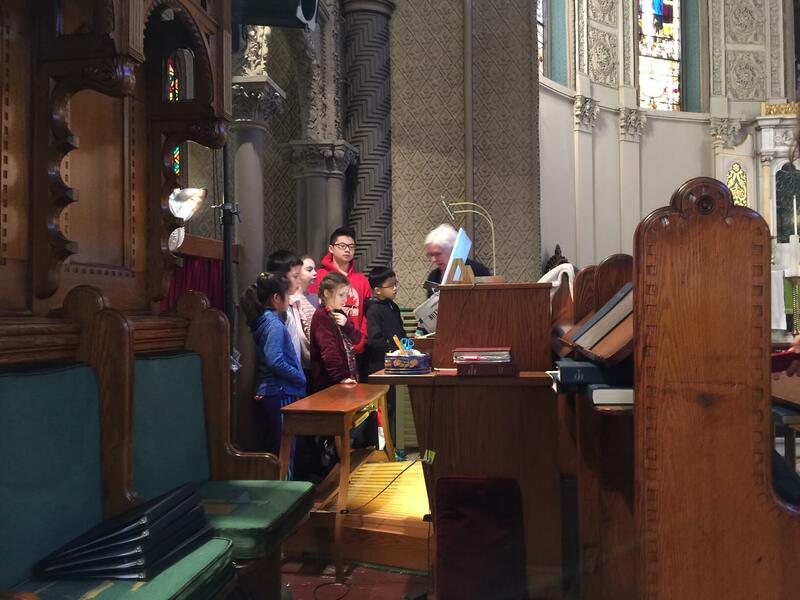 This group included several talented music students who were happy to demonstrate their skills and try their piano pieces on the organ. Everyone who wanted to play got a chance. 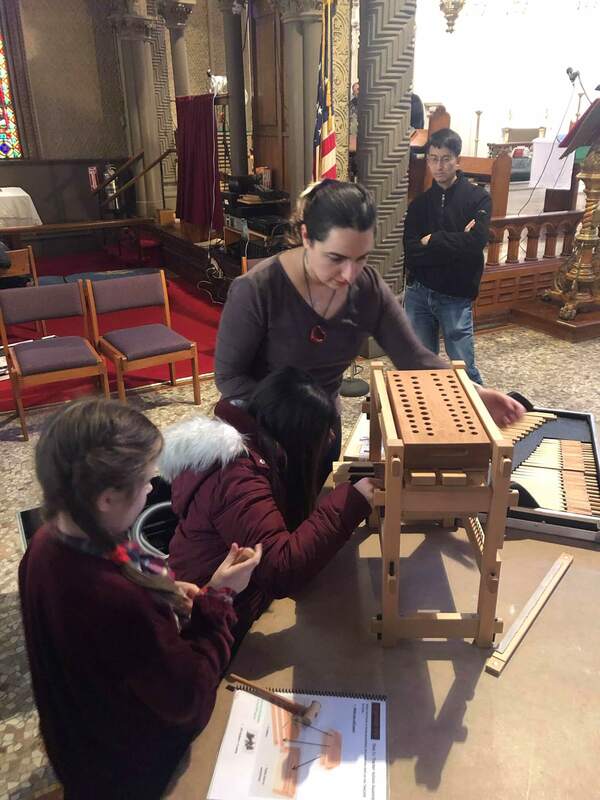 Meanwhile Erben Ambassadors Maria Rayzvasser and Lana Krakovskiy pre-built the frame of the Orgelkids kit, to facilitate insertion of pipes and keys by the children. 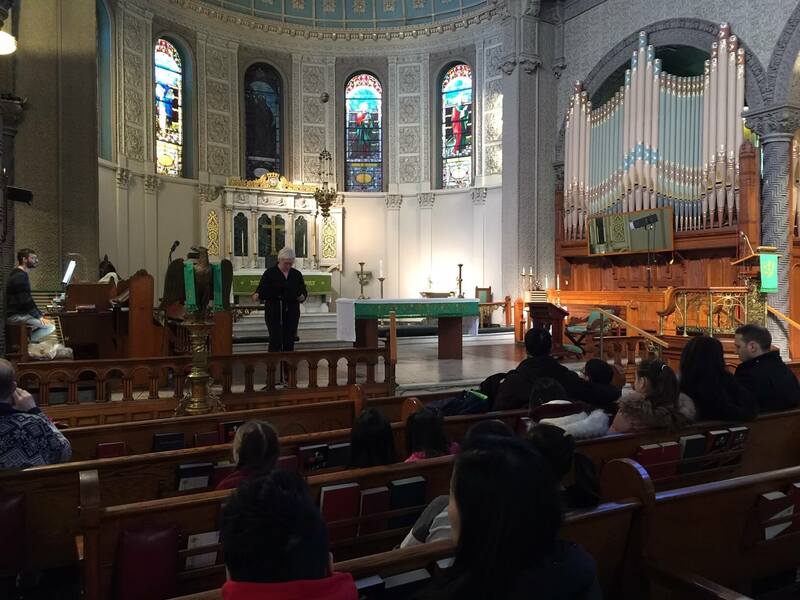 Children learned about different parts of the pipe organ in front of them. 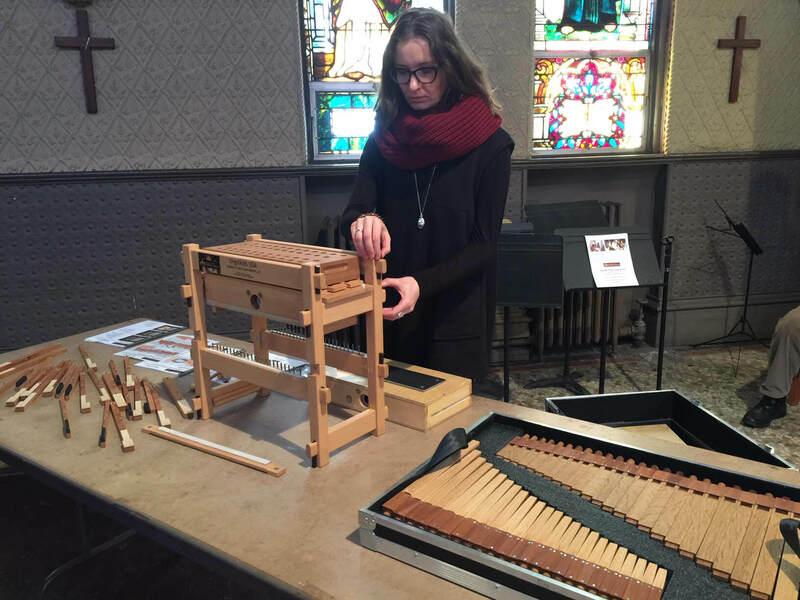 The kit is a wonderful teaching tool that helps one see all the organ parts working together, something that is difficult to witness by looking at a large cathedral-size pipe organ. Lana discusses the way keys are arranged on a keyboard before inviting children to sort the keys into the correct order. 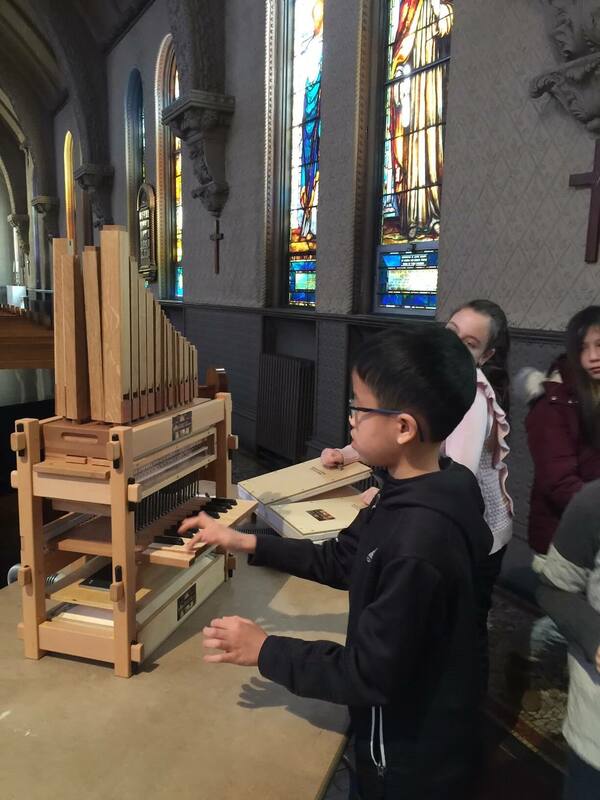 The Orgelkids organ kit is a tracker organ, which works the same as our 150-year-old 1868 Henry Erben organ at the Basilica. 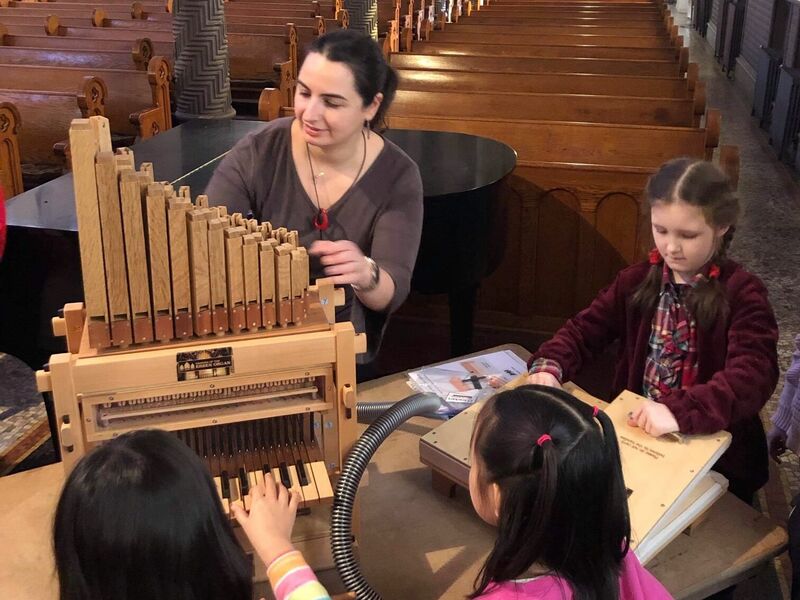 When we use the Orgelkids kit in our summer camp, children can readily make a connection and form an appreciation for how a tracker instrument works. Finally, the little organ is complete! Kids enjoyed taking part in pumping the bellows and playing. The highlight of the experience was taking apart the Orgelkids organ while playing it! A great time was had by all, followed by delicious pizza in the choir room. We look forward to further collaborations and opportunities to take our Orgelkids kit organ on the road!